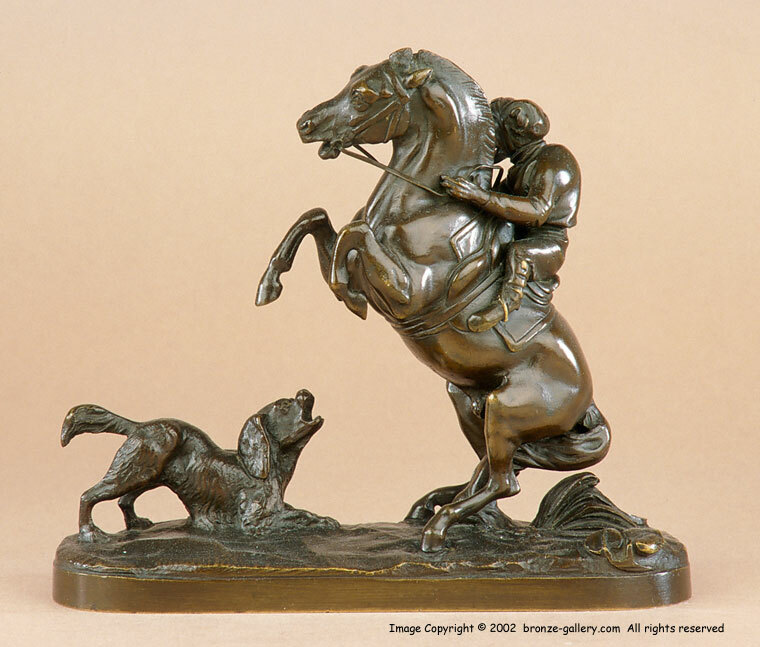 In the middle of the 19th century and a full 15 years before Darwin's published work Origin of Species there was a surge in bronze sculptures of animals doing human tasks. Christophe Fratin created his humanized Bears being lamp lighters, dentists, and even reading books. 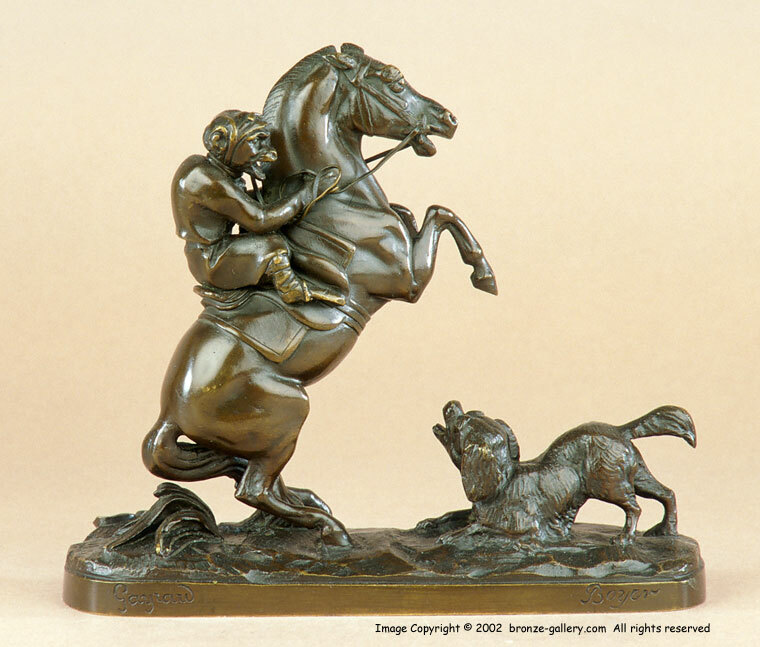 Paul Gayrard also created his famous Monkey Steeple Chase bronze in 1846 which showed a group of four Horses jumping with Monkey Jockeys on their backs. The group is quite rare as are the single bronzes done from the Steeple Chase. The novelty of humanized animals soon wore off and these very unusual and rare bronze subjects are almost impossible to locate today. When Darwin's work came out in 1859 many looked upon these humorous bronzes in a different light and many were discarded. We are offering two from the group of the Monkey Steeple Chase grouping from Gayrard's original edition done in the 1840's. The Monkey Jockey riding a Horse jumping and a Monkey Jockey on a rearing Horse surprised by a King Charles Spaniel dog. Each is signed and marked Boyer for the foundry that cast them, they are sold as a PAIR only and have been together since they were cast in the mid 19th century. A cast of the Monkey Jockey with Dog is illustrated in Payne's book Animals in Bronze on page 66.